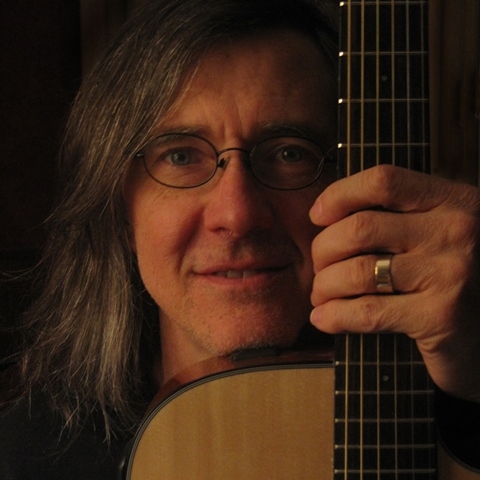 An In-Depth Conversation with The Musician JOHN HICKMAN! 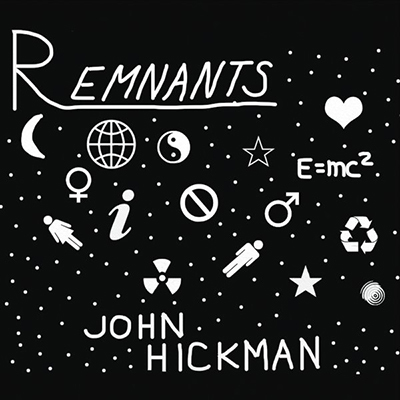 John Hickman’s exciting emergence as a critically acclaimed independent artist will inspire anyone of a mature age who thinks a full on pursuit of musical dreams is best left to kids in their teens and 20’s to think differently regarding that idea. On his infectious, musically eclectic, and powerfully produced full length debut album Remnants, Hickman steps out with the first single, the provocative high octane rocker “While Everyone Was Sleeping.” To coincide with the CD release, Hickman has also released a provocative politically slanted lyric video that should raise the eyebrows of all sides of the political aisle. With such powerful songs as “Cascade,” a booming, high energy tune that uses images of nature as metaphors to convey divine and human love connections, the melodic, deeply poetic singer/songwriter infuses the 12-track collection with a dynamic array of the classic and modern rock influences that fueled his musical ambitions. Hickman cut the tracks at London Bridge Studios in Seattle with the help of mixer/engineer Jonathan Plum (who also plays bass) and mastering engineer Geoff Ott. Hickman achieves his big, multi-textured sound with the help of numerous local musicians, including Adrian Vanbatenburg (drums and percussion), Shohei Ogami (guitars), Tim DeHuff (guitars), Andrew Fox (keyboards), Mikhail Pivovarov (bass), Ally Jenkins (violin), Laurel Pistey (cello) and Ken Fordyce (bass). 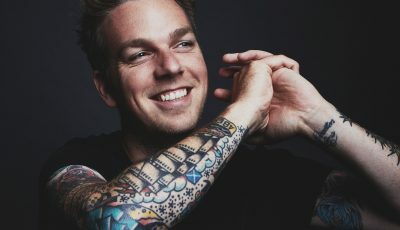 The song Hickman partially titled the project after, “Remnants of the Human Race,” is a perfect example of his unique flair for highly emotional music and penetrating lyrics tackling often surprising themes. Starting out as a dramatic piano ballad, it evolves into a soaring, electric guitar driven progressive rocker. Other tunes like the deep, rock jam “Escape” and the searing power ballad “Passing Thru,” take on a more hopeful tone (seeking freedom, searching for something more in life), while “Paris is Burning” is a romantic piano driven pop rocker whose lyrics tap into numerous historical references and playfully quote Cole Porter and Jim Morrison. Another spirited slice of optimism is “Soiled Dove,” whose title comes from a nickname that was used in the Old West to refer to a prostitute. It’s about a damaged woman who, despite her present circumstances, is hopeful of a better life. Thanks for your time! Now that we are entering the fall of 2016, what are some words you would use to describe this year? What have been some of the highlights for you and your music? This year has certainly been a busy one for me so far. First some background- I am just beginning my attempt at a music career for which I have certainly been busy finishing up the work which started last year on recording and getting my latest album Remnants put together and produced. During the same time period, I was also finishing up my “day job” previous career as an aerospace engineer from which I took early retirement in March. A month after that, my wife and I moved lock, stock, and barrel to our favorite vacation spot of Maui. So as you can see, it has been a very busy year. And once the album was finished, I originally thought that things might settle down a bit and be less hectic, but of course I was forgetting about putting in the time to promote the album as well as putting together some videos to go with it. I guess the highlight though was finally getting the album finished and seeing the entire package put together, not just the discs of the music recordings (12 songs and 68 minutes worth, by the way), but also the printed booklets of liner notes that went with each CD. It was definitely something to see all of the ideas I had come to fruition along with the help of some fine musicians and producers, and now have the opportunity to be able to share it with others as well. I did not really think about pursuing music professionally while growing up. While many musicians who come into their own as artists at a later age speak of achieving a long deferred dream, that was not the case for me. I always liked music though, and took piano lessons in junior high, but it was just for my own edification (and my mom thought I should have some kind of musical training. Thanks Mom!). Sometime in the early 2000s, I thought it might be fun to pick up and learn to play the guitar, just for fun; seeing other people play and enjoy it so much somehow inspired me and made me feel compelled to take up music as a hobby. After a while, I began to take things more seriously by venturing into writing my own material, and I bought a book and CD package of voice lessons to improve my vocal range, and then followed that up with personal vocal coaching from qualified instructors. How do you think being from Hawaii has influenced your music and really, your entire process of making a record? I can’t really say yet since I have only lived here a few months. We’ll see if there’s any use of the ukelele or island style rhythms in my music in the future. You recently released your debut full-length album, “Remnants.” What did that feel like? What was the overall inspiration for this collection? I believe I may have jumped the gun and answered this question earlier in response to one of the other questions, but it certainly felt like a great achievement. The songs were written over a period spanning several years, even though they were all recorded within the last year. 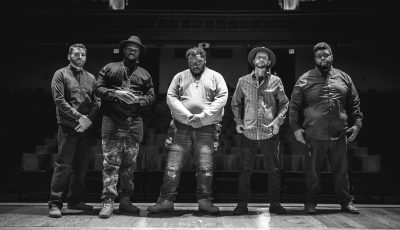 Actually, a couple of the songs had originally been recorded a couple of years ago, but those songs were revamped slightly with newer recordings for the Remnants release. I had been wanting to put together some type of album of songs to release over the last few years, and by the time I finally got motivated to record all the songs and put everything together, I had enough material for perhaps not two albums, but quite an extra long one. I believe I set my goal to finish up earlier this year so that the album could be engineered and produced in a studio in Seattle, where I was living just before my wife and I moved to Maui. I figured there would be more options for finding a top notch studio to work with in getting the album produced in the Seattle area than there would be on the island of Maui, with its much smaller population center. I ended up taking the project to London Bridge Studios in Seattle, which has had many noteworthy clients and also happened to be very close to my home at the time. I guess there’s nothing I’m particularly surprised about since I have heard and read about many of the changes that have occurred since the digital age. I still can’t get over how many outlets there are for finding and streaming music, but that extreme abundance of outlets presents a huge challenge for those of us trying to get our material noticed. That has been my biggest challenge and probably for most other unsigned artists as well. It’s very difficult to get your work noticed when it is lost in a sea of millions of others, and to get the exposure and publicity that you would like. You could have a great product, but if no one knows about it or can’t get to it, then you’re not going to able to share it with the world. As far as what comes more naturally, that would be coming up with song ideas. Some of those come quite naturally to me, unless I’m in a hectic period where a lot of non-musical work has to be done in a short time. If I try to force things to come out when under pressure, that certainly doesn’t work. Most of the time, my influences include the classic rock greats I grew up listening to, like David Bowie, Styx, Rush, Zeppelin, and The Beatles. The song “Hello Hello”, off of the new album, definitely brings the Fab Four to mind. 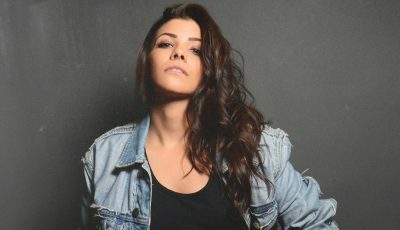 “While Everyone is Sleeping”, on the other hand, reflects more contemporary influences like Green Day, and I’m also a big fan of Coldplay, and they have been a significant influence, especially as I began integrating more piano and keyboards into my music. As far as who I would like to work with, if you’re referring to a “dream collaboration” as another interviewer once asked me, then I would say that I would certainly love having a collaboration with Jeff Beck playing guitar, Rick Wakeman on keyboards, and Neil Peart on drums. But realistically, I would just love to collaborate with any musician who enjoys the same type of music that I do and that also happens to be on the same wavelength (meaning that we would be able to work together well). I enjoy running, hiking, and going to the beach (after all, I do live in Maui now). I also help my wife out with her jewelry business, setting up and helping her sell her products at outdoor markets. The keyword answer to that I think is literally stated in the questions you just asked: hope. Even the songs dealing with tragic events (“Remnants of the Human Race”) and controversy (“While Everyone Was Sleeping”) can remind us that there is a chance to make things better if we act now. The songs of loss and grief (“Where Have You Gone?”) and heartache (“What Have You Done?”) can offer hope for a new beginning. Along with the rough spots of life, there is much to be grateful and thankful for. Overall, the album brings about a hopeful message – not all the songs are joyous, but this is life, and together we’ll make the changes necessary to get through it. By the way, the song “Paris Is Burning” is not about a terrorist attack on Paris. It is a romantic song about a burning passion for the beautiful city of Paris and its people. The title was taken from the WWII drama “Is Paris Burning?” in which the Nazi commander of Paris, Gen. VonCholtitz, refused to burn the city down despite orders from Adolf Hitler himself. Just that I had much help in putting this project together from many other fine musicians. I certainly didn’t do it alone. Though I did not only write all of the songs, but also provided complete arrangements for all of them, and performed all of the vocals and most of the keyboards, many other fine musicians contributed to this project as well. I’ll just list them out and you can include them as space permits; Jonathan Plum (mixer/sound engineer – also played bass), Adrian Vanbatenburg (drums and percussion), Shohei Ogami (guitars), Tim DeHuff (guitars), Andrew Fox (keyboards), Mikhail Pivovarov (bass), Ally Jenkins (violin), Laurel Pistey (cello) and Ken Fordyce (bass). Alt-Rock Band, CAPTIVA Discuss First Forming During High School Detention and Much More!